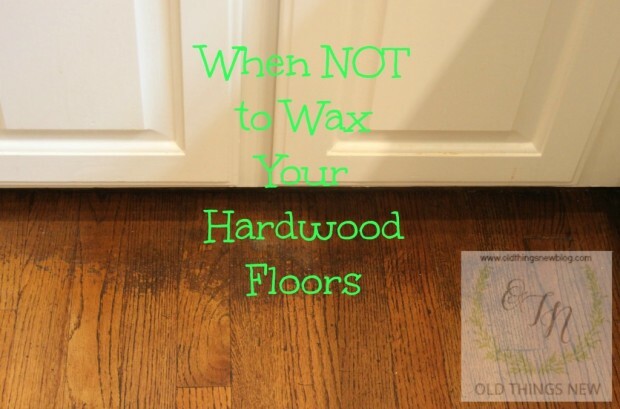 When NOT to Wax Your Hardwood Floors! Oh the tangled webs we weave . . .
After eight weeks in our new home we are still plugging away at settling in. The house was in great shape when we bought it but there are still a lot of changes I want to make and that will just take time. The latest thing we’ve been up to is having the hardwood floors refinished . . .
. . . something we didn’t expect to have to do when we signed the papers. When we flew out for the weekend to house hunt and ultimately make an offer on our new home the floors looked amazing. They were in great shape and had a beautiful sheen. Four weeks later we drove into town, signed final papers, spent the first night in our new home, and woke the next morning to the sound of the moving van pulling into the driveway. I was so busy directing traffic that I didn’t even notice the floors. Is anyone else like me? I often don’t notice things above my head or below my feet as I am so focused at eye level. This is a lesson in observation for me! After a couple of days of unpacking I thought I’d better wash the floors. They were looking really grimy and I noticed that my bar stools were sticking rather than sliding smoothly across the kitchen floor. I figured it was all of the people in and out that had made the mess and also that maybe the previous owners hadn’t done a great job of washing the floors before they left. Much to my chagrin, when I started mopping the floors the dirt didn’t move. It was especially grimy around the bases of the cabinets and the dirt wasn’t budging! I applied some super strength to the mop handle and I was able to scrape a faint line through the dirt but that was it. So down on my knees I went with my handy dandy Magic Eraser. And VOILA! Better right? Only now there was no shine left on the floors at all. 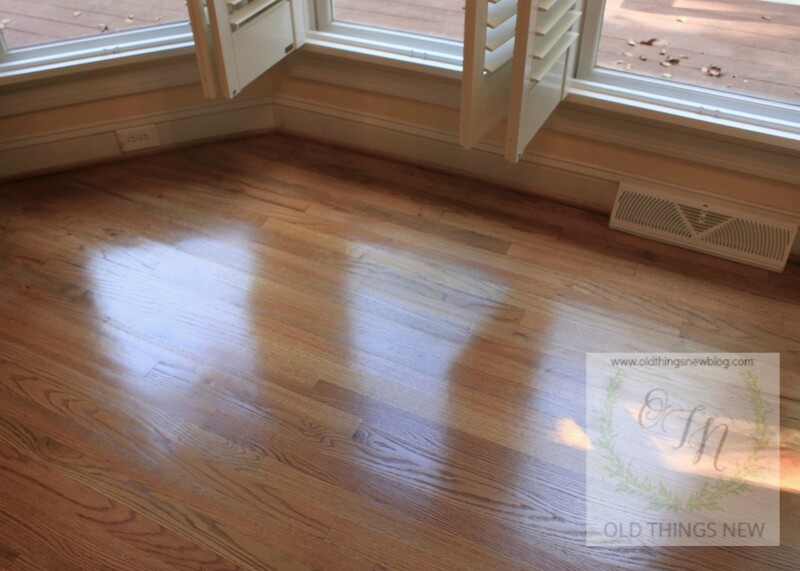 In my old house I used Restor-A-Finish on my floors whenever there was an area that needed a little touch up. That stuff is amazing! Antique stores use it to touch up furniture before putting it on the floor for sale. It has always been one of my best friends and this time it did not disappoint either. The only problem is that the grime was SO sticky and hard to remove that it took me two hours just to do a small section beneath my kitchen cabinets . . . and the entire main floor (except for the den) is hardwood! How discouraging! We called out an expert to look at the floors and he immediately recognized that the previous owners had applied paste wax to the floors to make it look good before putting it on the market. Not a good solution on a floor that has a polyurethane finish (varnished hardwoods can be waxed and buffed, polyurethane floors should not)! So, just weeks after moving things in we moved everything out again and in came the professionals to refinish our floors. We had the color lightened up just a bit because we live in the woods and wanted more light. The glow is back and I’m delighted with the end result. 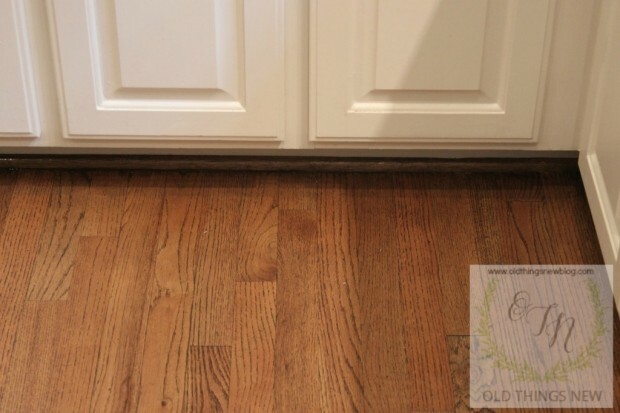 Sometimes a hardwood floor needs a simple touch up with a good product like Restor-A-Finish (no, this is not a sponsored post, I just love the stuff). Other times a simple buff and polish will refresh its newness. 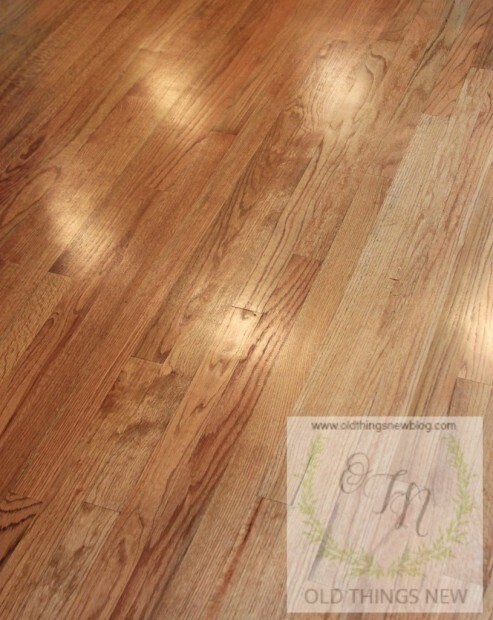 Still other times a floor needs to be completely refinished, which is more costly and very dusty! Unfortunately, even though my floors were in good shape, the removal of the wax had to be done with a sander so it required a complete refinishing. On the plus side, our contractor was very reasonably priced and we got a mini vacation to Charleston out of it, as we had to stay off the floors for three days. I’ll have more to share later this week! What finish was on the old floor?…Was it varnish or polyurethane?…Varnish can definitely be waxed with paste wax…but the wax needs to be buffed, after it is applied…Folks have been doing this for years…myself included! You are absolutely right Sharon. 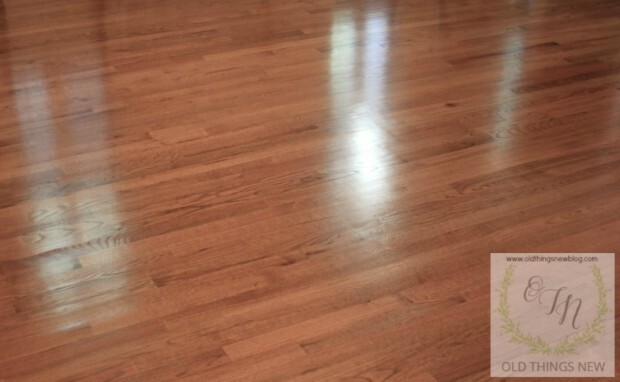 A varnished floor can be waxed, a polyurethane floor cannot. I stand corrected and have reworded my post. Thank you so much for leaving a comment. 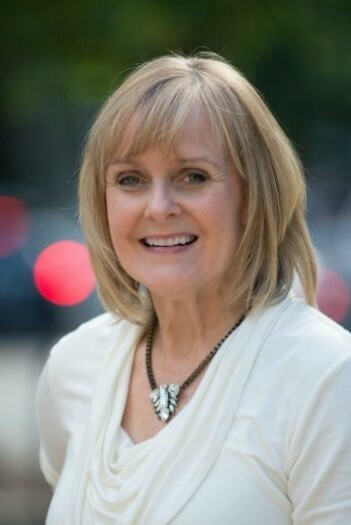 The floors look great, Patti, although I’m sorry to hear you had to deal with this all ready. We put wood floors in our condo (except for the bedrooms). So far, so good. The floors look really great. 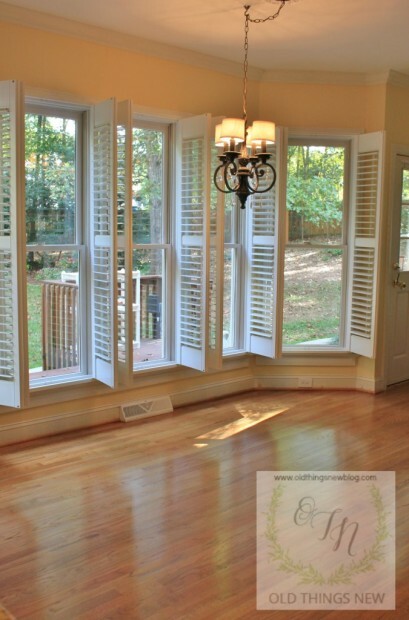 we also have hardwood floors, and they really do require maintenance. 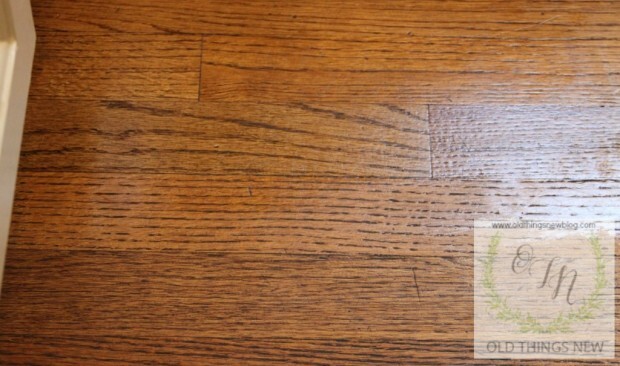 Another mistake that some people make is by using a soaking wet mop on hardwood flooring. Especially if the floors need maintenance, all of this wet water will only make the floors worse. Plus, who wants to spend hours hand-drying after that? Thank you for sharing the useful advice and photos of your lovely new home. Oops, misspelled my website url. Here is the correct url. but know you are glad to have that renovation behind you. good ‘ole hands & knees method, but amazing results. . .
been covered over through the years!!! Your floors are gorgeous, dear friend!!! Looking forward to seeing glimpses of your decor. . .
just in time for the upcoming Holiday Season!